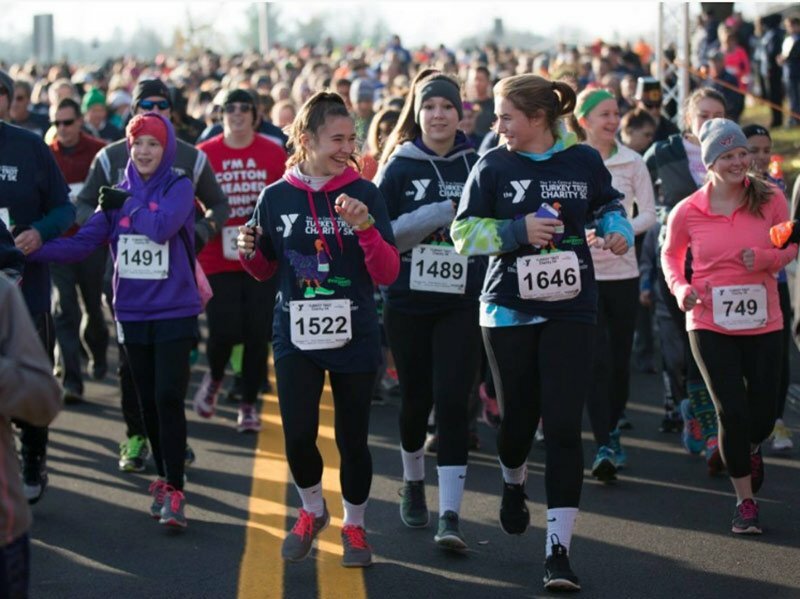 Join the YMCA of the Chesapeake on Thanksgiving morning, Nov. 22, for the Y Turkey Trot Charity 5K! Open to individuals of all ages and abilities, everyone (including your pooch) is invited to walk, run or leisurely stroll the 3.1- mile course and soak in the feel-good vibes of the day! Begins and ends at the Pauline F. & W. David Robbins Family YMCA in Cambridge, MD, and running through the neighborhood adjacent to the Y. Race begins at 8:30am. Registration costs $40 per adult; $5 per child 6 and under; $22 for children 7-17. Register here. Proceeds from the Y’s 2018 Y Turkey Trot Charity 5K benefit children across the Eastern Shore who live at or below the Federal Poverty Level so that they can attend Y programs that keep them safe and engaged.